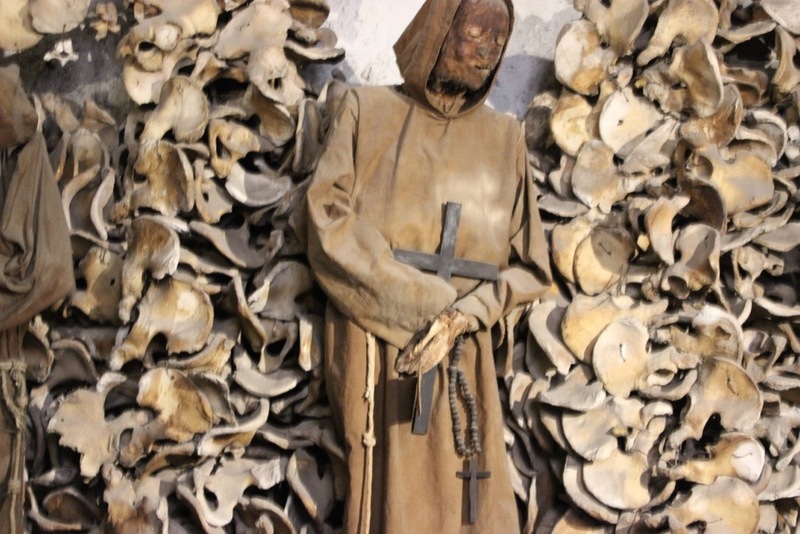 The Capuchin Crypt is a museum located beneath the church of Santa Maria della Concezione dei Cappuccini on the Via Veneto near Piazza Barberini in Rome. 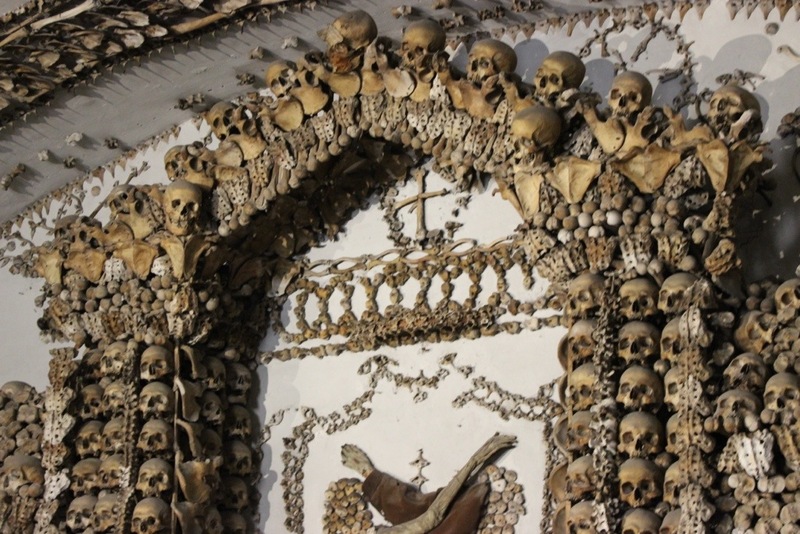 It contains the skeletal remains of 4,000 bodies. 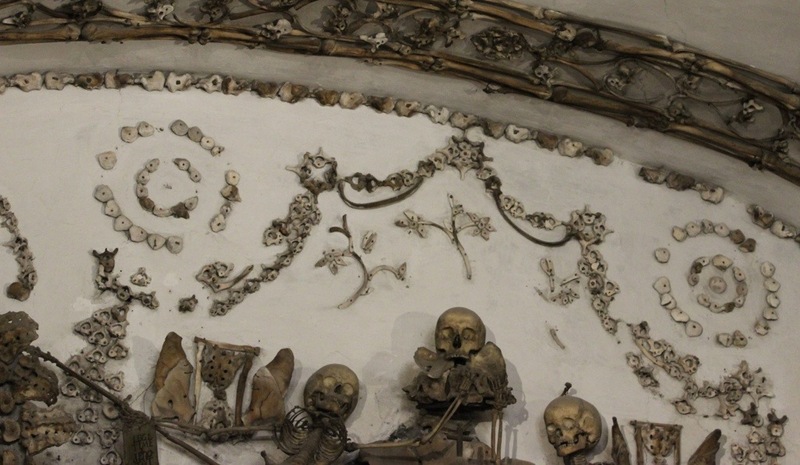 Bones are nailed to the walls in intricate patterns while others are just piled on top of More bones. Some have been made into light fixtures. Towards the end of the museum is what appears to be a cement heart- the grand niece of Pope Sixtus V supported the Capuchin order and asked to have her heart placed behind a plaque there when she died. We didn’t find the place very scary- just a bit freaky since some looked like they still had leathery skin intact. One even had fake beard hair glued to his chin.